FRN Invests in Strongest Asset: People! Food Recovery Network is pleased to announce the recent promotion of two national staff members to the position of manager. Hannah Cather has been promoted to Program Manager, and Danielle King has been promoted to Finance and Operations Manager. Hannah Cather (hc, as we call her in the office) joined the FRN National team in August 2015 as a member of FRN’s third class of Fellows. hc first learned of FRN while she was a student at the University of Tennessee Knoxville, where she volunteered with her chapter, and on a whim decided to attend a national conference co-hosted by FRN. After her first year as a Fellow, hc was hired full-time as FRN’s first-ever Program Associate where she flourished. While an Associate, hc took on a leadership role to train the incoming class of Fellows to learn how to support FRN chapters across the country and build new resources for chapters. It was during her time as Associate that hc also began to represent FRN externally at events such as the Association for the Advancement of Sustainability in Higher Education, FRN’s partner Post-Landfill Action Network and other externally facing events. Of her commitment to FRN, hc notes, "Every day I come to the office and am reminded of the power student leaders possess. They constantly impact change in their communities through their passion and hard work; they make me proud of the work I do." As Program Manager, hc is responsible for training and managing Fellows and interns--a responsibility she has taken on with natural ability combined with a desire for ongoing managerial learning. hc understands that the FRN program model demands innovation and scaling to succeed. She works closely with the Executive Director, Regina Northouse, to design and implement programmatic improvements. Look to this fall to see some of these strength-based improvements roll out across the Network. 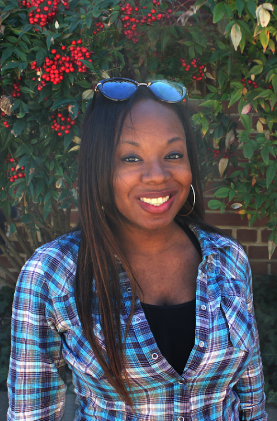 Danielle King joined the FRN team August, 2016 as FRN’s first-ever Office Coordinator. Danielle drew from her administrative experience working at U-Haul and her managerial experience working at Friendship Hospital to support immediate operational improvements to FRN. As Office Coordinator, Danielle took on the mammoth project of bringing FRN’s bookkeeping in-house, saving FRN money that can now be applied to expanding our network. Danielle also improved FRN systems to be more efficient such as merchandise ordering placed directly to National. The time Danielle has saved the office means we can spend that time connecting with students. Danielle is also FRN’s direct contact for all of FRN’s vendors and has strengthened our connection to these vital relationships. As Finance and Operations Manager, Danielle will take on more financial responsibilities such as overseeing FRN’s 990 filing and audit. Danielle is also managing the relaunch of Food Recovery Verified (FRV), the program that recognizes food businesses and events for recovering and donating surplus food. Danielle is working closely with Regina to develop a year-long strategy of the program to increase the value-add businesses receive from joining FRV. Danielle will also manage Fellows and interns at FRN, including FRN’s Food Recovery Verified Vista. Danielle noted, "I love working at FRN because we can deliver on our mission in so many different ways. I am so proud to work for an organization that touches on so many issues. I feel I'm not only making a positive impact at my organization, but also in my community and in some ways the world." When hc first joined FRN in August 2015, there were 125 FRN chapters across the country. A year later, when Danielle joined FRN in August 2016, FRN had expanded to 187 chapters. Today, because of their work to grow the movement, FRN has 219 chapters across the country in 44 states and we are moments away from recovering our two millionth pound of food--FRN’s biggest milestone since we first began recovering in 2011. FRN’s 2017-2019 strategic plan has the ambitious goal of expanding to 350 chapters across the country and that will only happen with talented individuals like hc and Danielle applying their skills, passion and commitment to the movement.